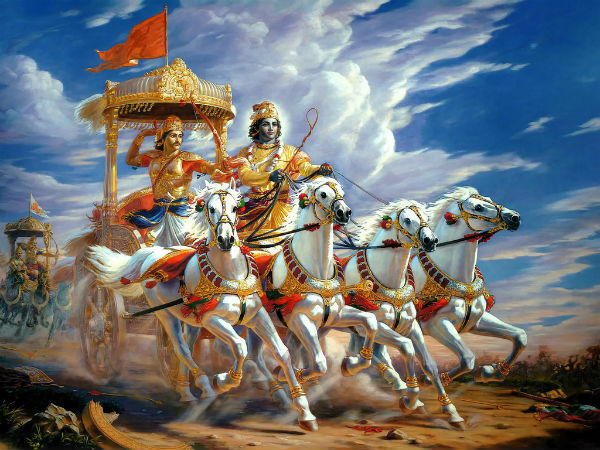 Kurukshetra is also known as Dharmakshetra and the Land of Bhagavad Gita. According the holy scriptures, the region gets its name from King Kuru, who was the grandfather of the Pandavas and the Kauravas according to the epic of Mahabharata. The place is where the great Kurukshetra War of the Mahabharata was fought and is also the land where Lord Krishna preached the Bhagavad Gita to Arjuna. Going by the archaeological evidences, Ashoka had made the place a centre of learning for people from across the globe. It is also home to a large number of temples, lakes and museums which narrate tales not only from epics but also showcase the history of Harappan Civilisation and pre-Harappan Civilisation. It is also said that Buddha and several Sikh guru have visited and stayed over here which all contribute to the large number of temples, kunds and pilgrimage centres which trace back their history to the epics and the earliest civilisation in the country. Best Time To Visit: The place is a year-round destination; however, the best time to visit is from September to March when the weather tends to be pleasant. By Air: The nearest airport is the Chandigarh Airport which is located at a distance of 102 km from here. The airport is well connected to major airports across the country, such as Bengaluru, Chennai, Mumbai, etc. By Train: Kurukshetra Junction is the major railway station here, which is located at the heart of the city and has regular trains which connect the place with major towns and cities across the state and to a number of them outside as well. By Road: One of the best ways to reach the place is by road. The city has excellent connectivity by roads and there are regular bus services from major cities in and around the state of Haryana as well as from Delhi. The total driving distance from Delhi to Kurukshetra is approximately 155 km and it would take you about 2 to 3 hours to reach the religious town from Delhi. One can reach the place by taking the NH 44 by driving past the towns of Kundli, Panipat, Karnal and Nilokheri to reach Kurukshetra. The roads are well developed and well kept throughout the highway. The NH 44 is the longest running major highway which connects North and South India; beginning from Srinagar, it ends down south at Kanyakumari passing through Delhi, Punjab, UP, Haryana, MP, Maharashtra, Telangana, Andhra Pradesh, Karnataka and Tamil Nadu. Due to its close proximity to the city of Delhi, most people set off during weekends for quick break away from the hustle and bustle of a city life. En route Kurukshetra, Panipat would be an ideal pit stop for those who would love take a break for a sip of hot tea as well as a filling breakfast before heading down further. Panipat, like Kurukshethra, is also an ancient and historically important city. According to legends, Panipat is one of the five cities founded by the Pandavas which was known as Pandavaprashta and Panprashta. The place is well known in history books for the three battles which were fought here between various empires who ruled the place. The first battle was fought between Ibrahim Lodhi and Babur in the year 1526, the second battle was fought between Akbar and Hem Chandra Vikramaditya in 1556 and the third battle was fought in the year 1761 between the Maratha Empire and the invaders from Afghanistan and Baloch. Here one can visit the Panipat Museum, Ibrahim Lodhi's Tomb, Hemu's Samadhi Sthal along with the Gurudwara Dera Baba Jodh Sachiyar Ji before heading to the destination which is around 72 km from here. Being a land surrounded with rich religious history, Kurukshetra is home to plenty of temples and other religious monuments. The place is not only associated with the Mahabharata, it is believed that the sage Manu, wrote his well-known book Manusmriti here; it is also said that the Rig Veda and the Sama Veda took form here. The Brahma Sarovar is a sacred water reservoir in Kurukshetra; having a bath in its waters is said to wash away all your sins and helps one attain salvation. According to legends, it is said that the reservoir was created by Lord Brahma himself after a sacrificial fire which took place here. The Brahma Sarovar is mentioned in the Mahabharata as well as the river where Duryodhana hid himself to avoid being killed by the Pandavas. Established in the year 1987, Sri Krishna Museum is home to various artefacts related to him which date back to the 1st century AD until the 11th century AD. The museum has six galleries which displays various statues themed on the Bhagavad Gita and the Mahabharata. One would come across beautiful woodcarvings, wooden panels, stone sculptures, archaeological artefacts, etc. which throw light on the rich cultural heritage of the place. Dedicated to Lord Shiva, this ancient temple is said to be the place where the Pandava along with Lord Krishna offered prayers to Shiva to emerge victorious in the Mahabharata battle. It is also said that Shiva was worshipped in the form of the lingam for the first time here. The temple is also believed to be the place where King Kuru performed a penance and Parshurama killed many Kshatriyas.